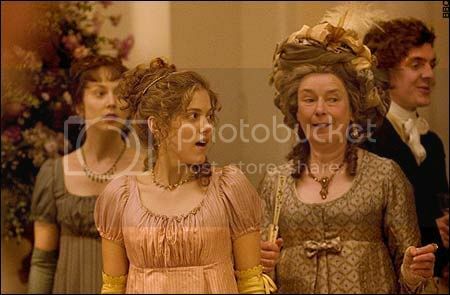 Last week, I was lucky enough to go to a talk with Hattie Morahan and Charity Wakefield who played Elinor and Marianne Dashwood in the BBC's 2008 3-part adaptation of Sense and Sensibility. It was held at the house where Jane Austen lived and worked for a great portion of her life, in Chawton. Along with discussing the highs and lows of filming in the rain, working with great actors and kissing the infinitely lovely Dominic Cooper (I had to ask Charity what it was like!) they also spoke about the costumes. I have to say that when I first watched the adaptation, I was enchanted by the dresses, and since the museum already had one of Charity's costumes on display, it seemed appropriate to discuss it. 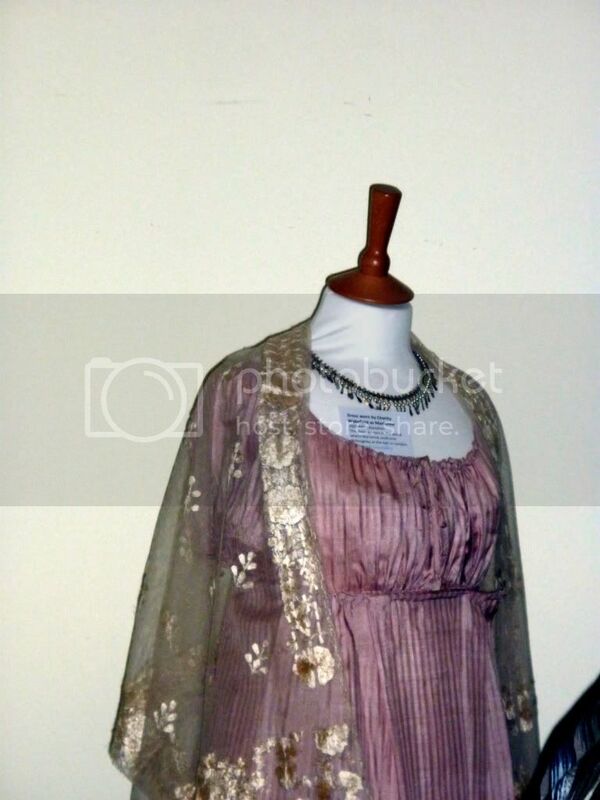 The one they had is shown above and you can see that Marianne wore it during the London ballroom scene, but there was another very similar one, worn during one of my favourite scenes: Willoughby (Dominic Cooper) and Marianne (Charity Wakefield) are having a picnic near the Dashwoods' cottage and reading poetry to each other. It looks like the same dress but if you look closely, the stripes are vertical in the ballroom scene and horizontal in the picnic scene. The rest of the costumes were really lovely too. I particularly fell for Marianne's yellow dress with a pattern of little bouquets, which she wore with a matching yellow ribbon in her hair. I just thought it was perfect. The other thing you notice about the costumes is how dashing the men look! It really makes you wonder - why don't we dress like that now? I would much rather see a guy walking down the high street in breeches, a floppy white shirt and cravat than falling-down jeans, a T-shirt and hoody. 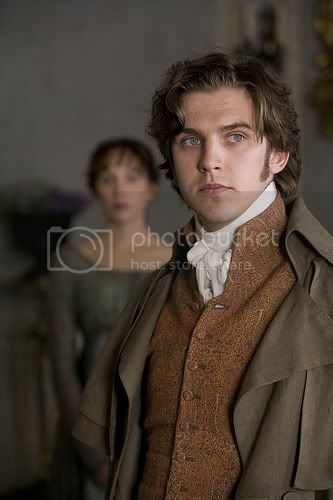 Before I leave you with some lovely inspirational costume drama pictures (all courtesy of the BBC), I must first say this: They say that chivalry is dead, and it's no surprise when the average teenage boy is brought up on a diet of ill-fitting shirts bought for him by his mum. 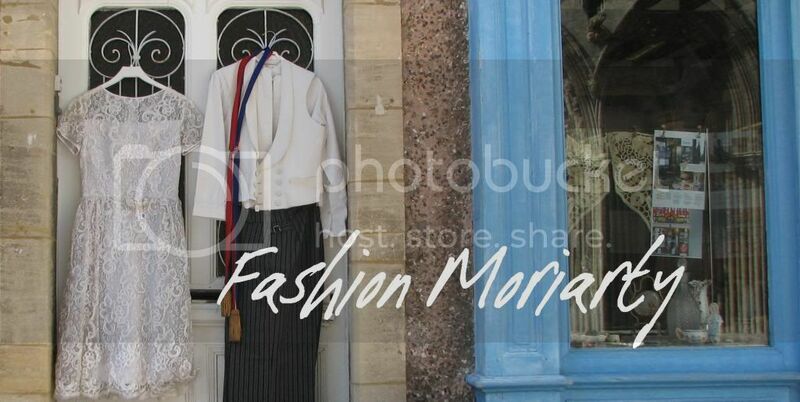 Let's campaign to bring back early 19th century menswear, and hopefully, early 19th century manners in the process. All pictures from the BBC except the first two, which are mine. Aw so much love for these dresses, they look so adorable!